Oxygen Forensics, Inc. updates its flagship mobile forensic product, Oxygen Forensic® Suite 2013, to version 5.4 adding the ability to extract information from Apple iOS devices locked with an unknown passcode. In this version investigators will extract physical dump or acquire data via Android OS backup routines. New version also offers analyzing device owner profile, cross-device contacts, the most active dates of the device use, several new applications and more! Added support for iPad Air Wi-Fi (iPad4,1),iPad Air (iPad4,2), iPad mini 2G Wi-Fi (iPad4,4), iPad mini 2G (iPad4,5). Added support for iOS 7.0.3 and iTunes 11.1.3. Oxygen Forensic® Extractor. Added the ability to extract data from passcode-locked iOS devices. 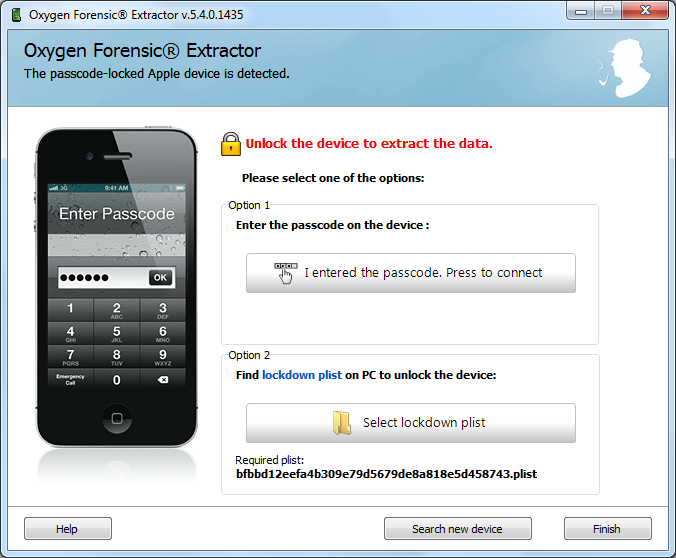 Oxygen Forensic® Suite offers a solution to acquire data from the iOS device which screen is locked with a passcode. Oxygen Forensic® Extractor. Added a window asking user to allow USB debugging mode on Android OS devices v.4.2.2. 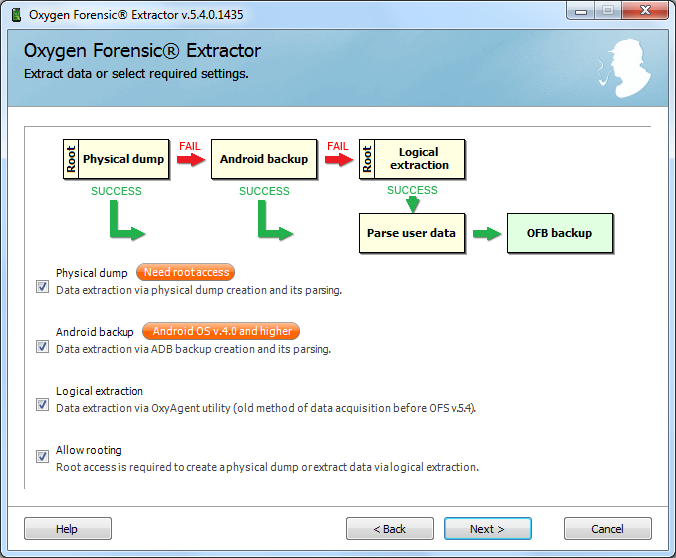 This mode is needed for device connection with Oxygen Forensic® Suite. Oxygen Forensic® Extractor. Added detailed information about all the steps of universal driver generating for Android OS devices. Desktop. Added Analytical tasks button that allows performing common analytical tasks with the extracted device data: viewing contacts from various sources, analyzing diagrams of social connections, using advanced search, exploring devices usage history and activity, gathering all geo data from the whole device. Timeline. Date tab. Added the ability to view device usage activity and find the most active days. 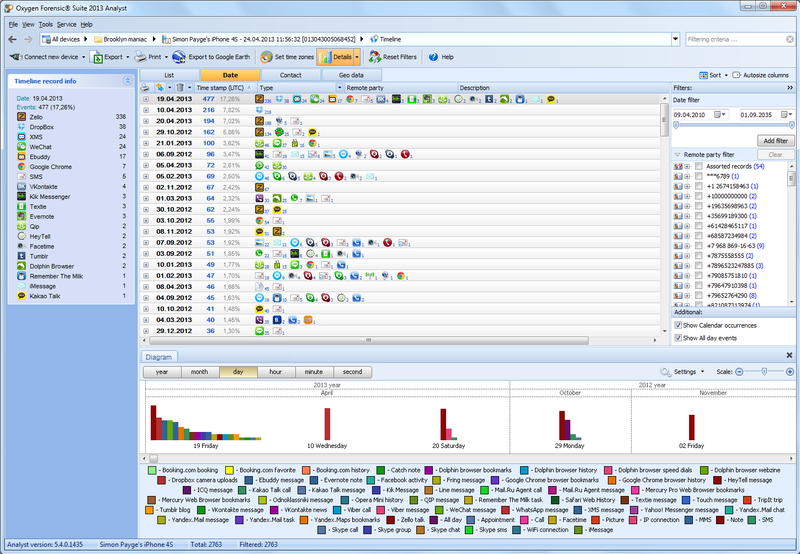 The feature is available with Sort button that has two modes – sort by date and sort by activity. Links and Stats for case devices. 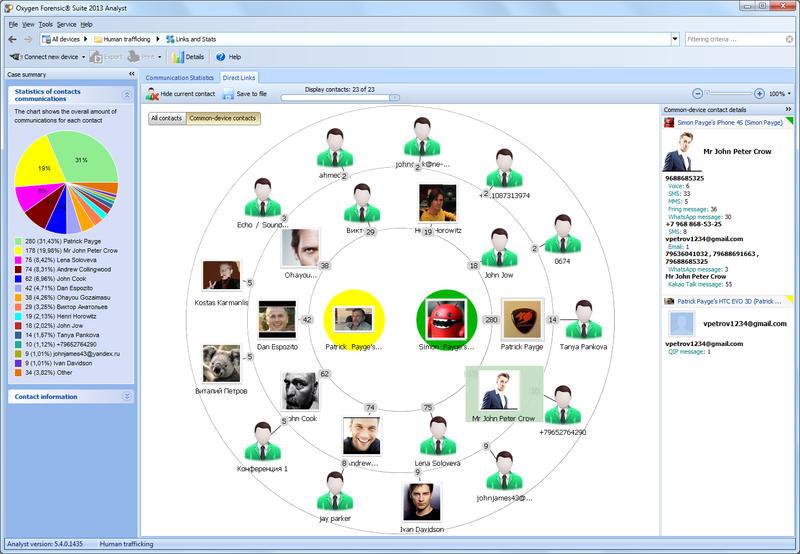 Changed cross-device contacts representation on the Direct Links diagram. 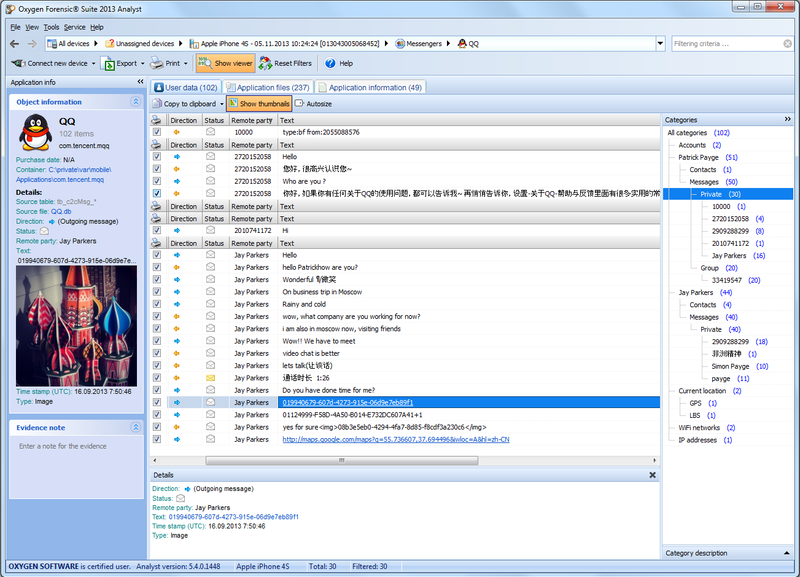 Now they are shown as one meta contact with the details about each source contact on the right sidebar. Search. Now search results are presented in a tree view. The entries of the same section are grouped together. General. 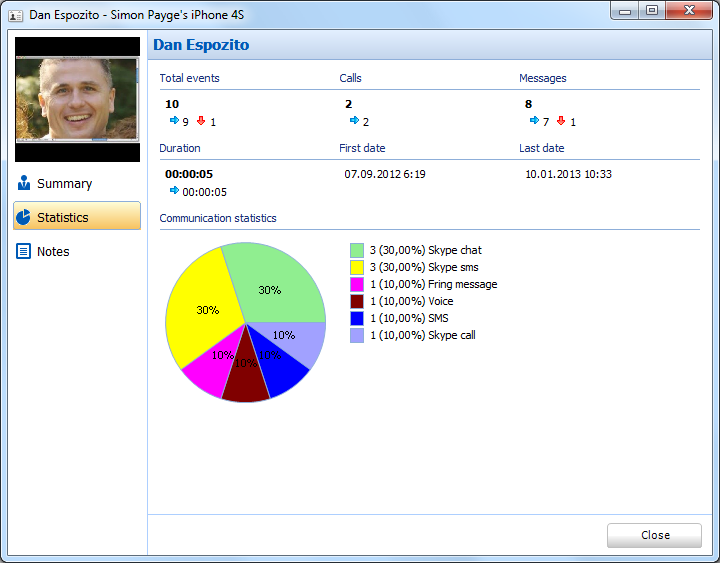 Added a new contact card that allows both viewing contact details and analyzing communication statistics between the contact and device owner. 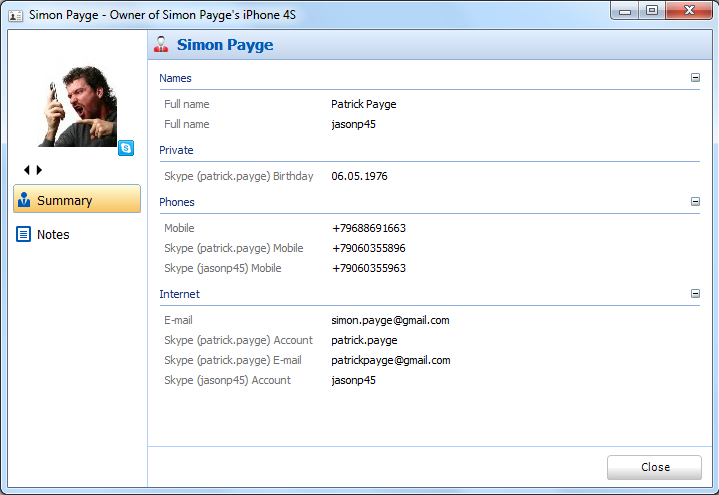 The contact card is available in numerous sections starting from Phonebook to Messages, Event Log, Timeline, etc. Export. Added opportunity to export each message in a separate file. Device information. Added the ability to export and print device owner’s accounts data. Device information. 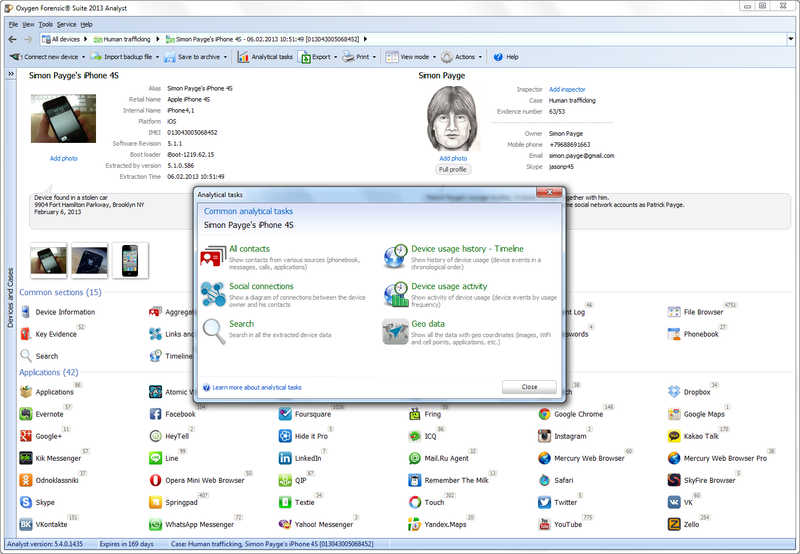 Added the ability to drag and drop device and owner photos from PC folder to Oxygen Forensic® Suite. Messages. Export. Added the opportunity to include/exclude message attachments from exporting and printing. The option is available in Report settings menu of Export button. Applications. Messengers. Added data parsing from QQ (4.2.2.10) for Apple iOS devices. Applications. Social Networks. Added data parsing from Weibo (2.7) for Apple iOS devices and Weibo (4.0.0) for Android OS devices. Applications. Productivity. Added data parsing from Evernote (5.3) for Android OS devices. Applications. Social Networks. Updated support for LinkedIn (6.2.1) for Apple iOS devices and LinkedIn (3.0.2) for Android OS devices. Applications. Social Networks. Updated support for VKontakte (3.0.4) for Android OS devices. SQLite Viewer. Added table structure tab that allows users to see the structure of all the tables in the opened SQLite database. SQLite Viewer. Added the opportunity to change the column aliases in the SQLite database tables. SQLite Viewer. Export. Added the opportunity to select a field delimiter for CSV export in SQLite Viewer. The function is available in Options button menu. Links and Stats. Now applied popup filters are saved within the program session. Links and Stats, Direct Links diagram. Now when quick filter is applied contact icons are hidden. Previously contact names were hidden. File Browser. To all the tabs a bottom panel is added showing that a specific filter is applied. Key Evidence. 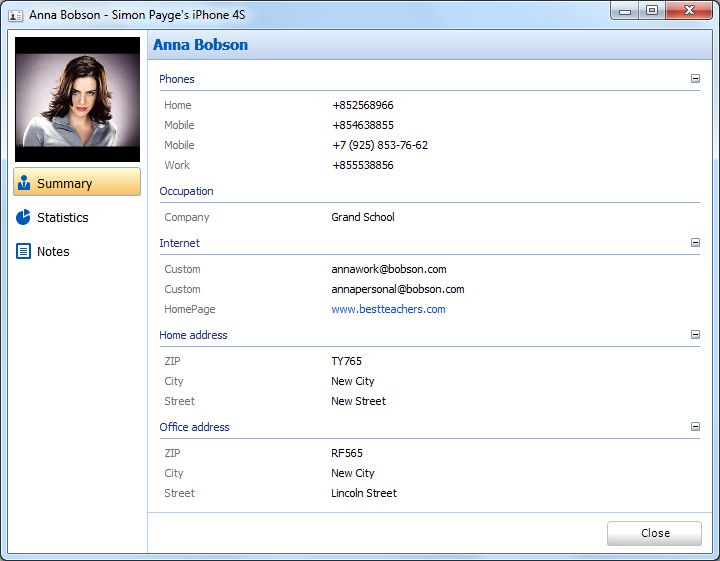 If the contact name is found in the database for the displayed phone number this name is also shown in the section. Key Evidence. Added Columns button that allows the user to show only needed columns in the grid. Timeline. Redesigned the date filter for more convenient use. Timeline. Accelerated the section first loading and overall functioning. General. 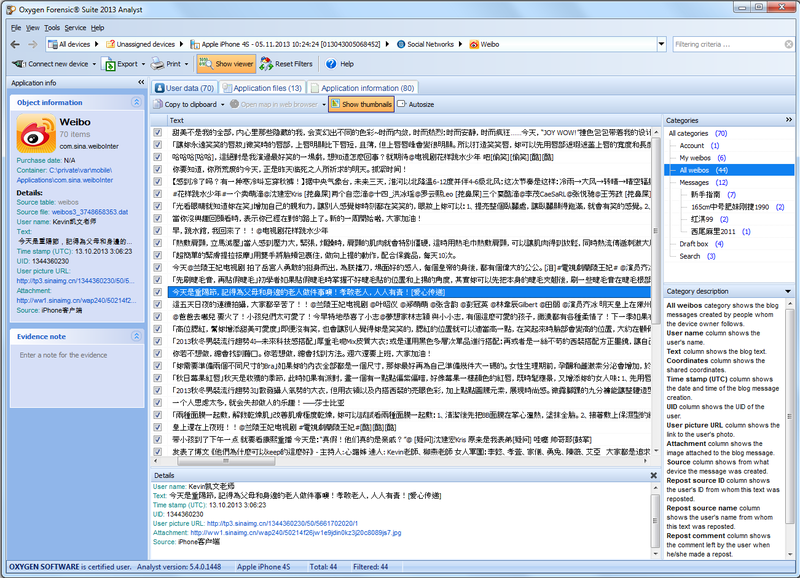 The toolbar height is reduced in all the sections to give more space for the extracted data. General. Fixed the problem when some files with Unicode names were not extracted from iTunes backups. General. Fixed database problem that sometimes occurred when restoring .ofb backup made on another PC. Phonebook, Messages, Event Log. Small interface improvements. Aggregated Contacts. Fixed the problem that occurred when Aggregated contacts section building for several devices was cancelled. Messages. Fixed problem the when MMS attachments were not parsed from Android physical images. Export. Fixed the problem that occurred when exporting all data to PDF file. Stay tuned to smartphone forensics with Oxygen Software! Stay tuned to success! This entry was posted in News and tagged ipad forensics, iphone forensics, phone forensics, smartphone forensics. Bookmark the permalink.